So excited they added turkey bacon to the approved Lean list. You will love this one. 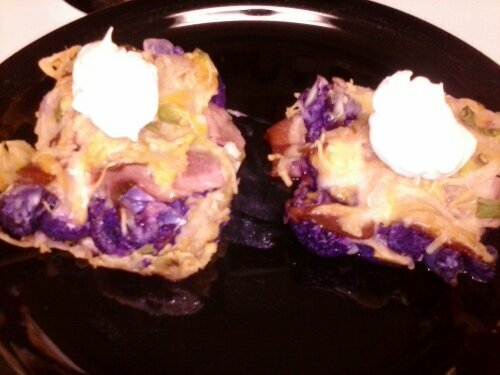 You will notice from the picture that I used purple cauliflower. Heat oven to 350. Place in this order, the cauliflower, then the bacon on top, then the cheese on top of that. Bake 30 minutes. Top with a teaspoon on sour cream and enjoy. 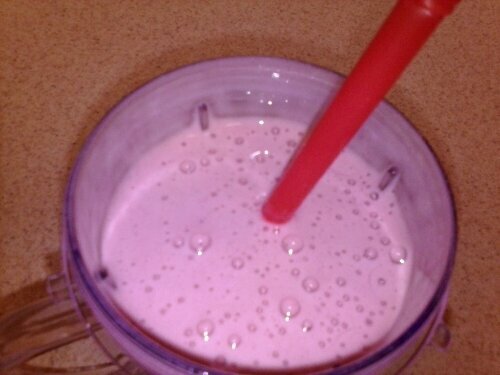 Once I got used to the idea of using almond milk, I had to make this. It’s very good. I only make a serving at a time. 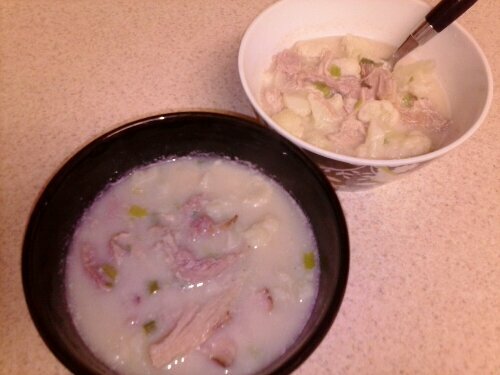 The picture shows one serving….2 bowls! Gather all ingredients and place in a medium pot. Cook on medium for 20 minutes. Another two pounds gone. Can’t complain. I got my hair cut because I broke 250. Pictures to come. I’m going to do another progressive photo. I’m just waiting for a good hair day. I promise its coming soon though. So this makes 103lbs from my top weight. Amazing!